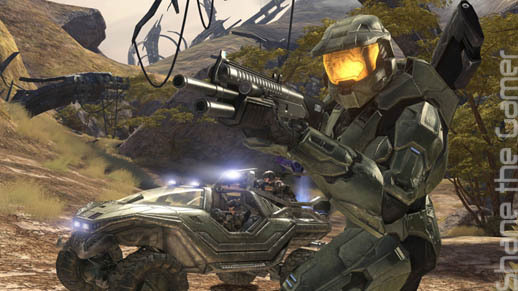 We wonder, where would the Xbox be without one of the most iconic FPS of all time, Halo? This is truly a question to ponder, but possibly some other time as there is so much Halo on offer within one game. 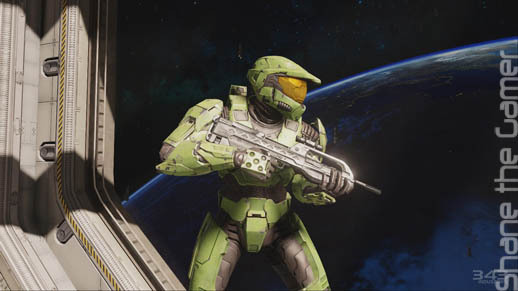 The Halo franchise has created many gamers and with its universe has captured the imagination of players everywhere. 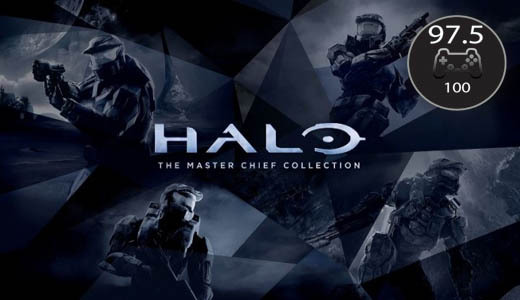 343 Industries have decided to bundle the classic franchise together in Halo: The Master Chief Collection. 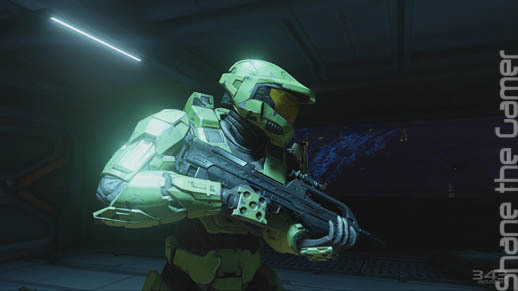 The Master Chief Collection is what many fans have long been waiting for, and here it is. The four main entries of the series have been included so one can truly sit down play out the epic long saga that is the journey of Master Chief to save the galaxy. Where else do you begin but with the very first Halo game. Halo: Combat Evolved aka Halo 1 uses the remake created for the recently released Anniversary Edition. The revamped Levels and environments are a drastic improvement giving a more SciFi feel to the game. 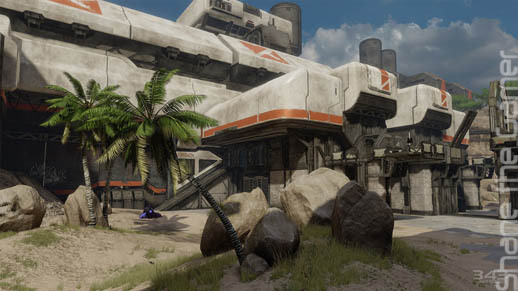 The beauty of it all is 343 have given you the option to play it in its classic form. You can freely and smoothly transition between the original and the revamped version. This is great to simply see how far gaming has come. The gameplay on the other hand has not been touched and this isn’t a bad thing. Why? It has for the most part stood fast in the test of time. 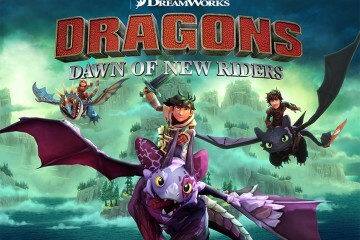 Playing the game is an exciting ride and the story is just as interesting. This isn’t to say it is completely without an outdated feel. Sections inside of Levels are reused excessively and vehicles are missing some of the later upgrades reminding you it’s an older game. Halo 2 has also been given a makeover. 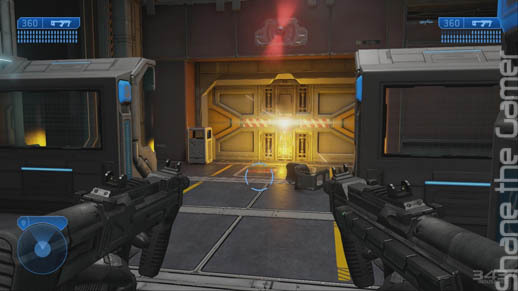 All Levels and environments have much better detail and texturing. Even the sound has not been left out. Here too you can switch between the original and new version. Seeing and hearing the difference is quite the experience. Unfortunately this somehow wasn’t as impressive as the restored Halo 1 environments and levels as it has a rushed feel to it. 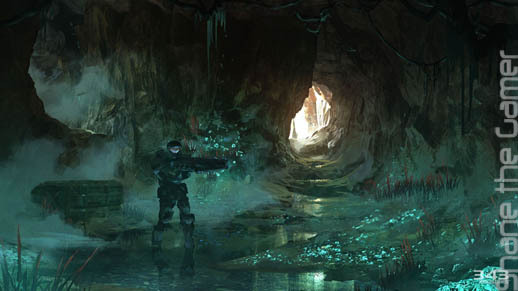 Some environments felt too dark and border on annoying rather than adding atmosphere. While they were even darker in the original, it didn’t give that eerie or enigmatic undertones that were likely intended. The most impressive improvement with Halo 2 was the cut scenes. I cannot begin to express how mind blowing they are. The visuals and graphic quality are unbelievably realistic. Halo 3 & 4 have not been given any special treatment. Instead they are everything they were back on the Xbox 360 with a higher resolution and frame rate. 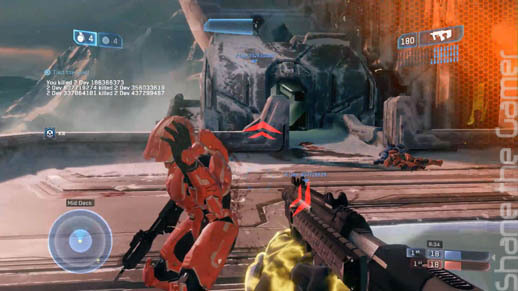 This is unfortunate as Halo 3 manages to look very outdated. 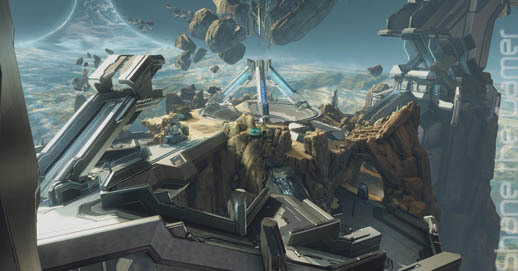 Even if they did not redo the whole game, it would have been nice to at least see the cut-scenes remastered to same standard as that of Halo 2. 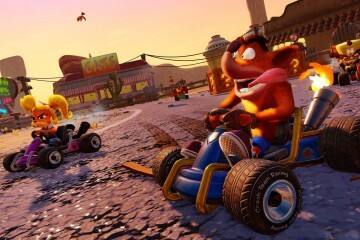 The gameplay however does a fine job at still being current and enjoyable. It has all the weapons and vehicles that have come to define the series. 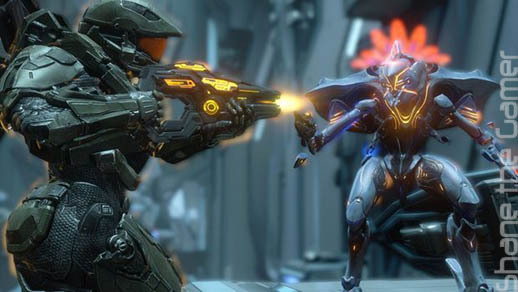 Halo 4 surprisingly holds up well in both cut-scenes and in-game graphics and well everything else for that matter. Halo allows a lot of freedom with the approach you can take within a Level. There are good variety of both vehicles and weapons within and you never have to use one exclusively. If you want to walk the whole way in a Level, you can. If you want to use a sniper style weapon indoors, you can. If you want to see how far you can get a vehicle in an indoor section of a Level, you most certainly can. Instead of having particular sections made for particular weapons or vehicles Halo generally leaves things open. While some vehicles and weapons are deliberately placed, you are likely to get the ones you want by prying them out of the enemy’s cold dead hands. The universe in Halo is one of the most interesting and well created in video games. Various factions exist, each with their own well defined and understandable motives and goals. I enjoyed that your main opponents, the Covenant, weren’t just fighting you because they are evil. Instead they believe what they are doing is righteous and to them you are the demon. 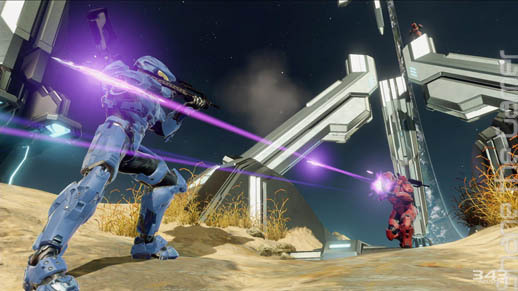 Instead of just relying on one story thread, Halo has multiple that perfectly intertwine and react with one another to weave together an interesting yarn. Occasionally throughout the game this leads to common goals being formed with other factions causing you to set aside your differences and work together. One of my favourite things about Halo is its well created enemies that have both distinct looks and personalities. 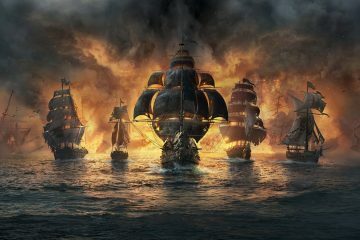 You are able to instantly recognise your foe and so decide the best weapon and strategy to take them on. The tiny grunts for instance are weak and easy to kill meaning you are better off saving bullets and smacking them something fierce. These funny little fellows flee when things get too intense and commonly throw out amusing one liners in the process. 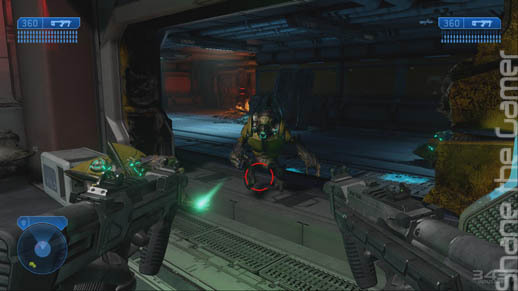 The large variety of distinct enemies really make the Halo franchise stand out against not only other shooters but also many other games in general. Local co-op is undoubtedly one of the chief reason this franchise is beloved by so many. 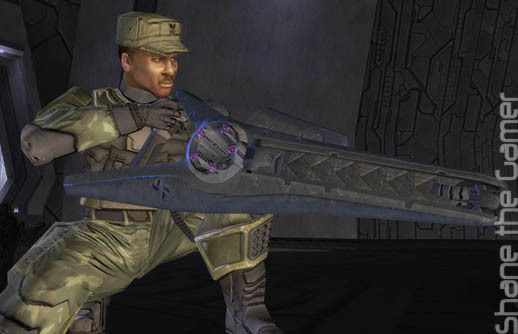 Spending many hours with siblings, partners or friends taking on the Covenant, Flood and adversaries the Halo universe has to offer were likely some of the most memorable times. Now you can do it all over again, with new comers or veterans. There was a small issue with a drop in frame rate predominately when playing local co-op. Though they were uncommon enough so that it didn’t generally effect gameplay however it was disappointing nonetheless. The music in Halo is easily a contester for one of the best soundtracks in any video game. Voice acting and general sounds are of good quality too. Unfortunately, the music and general battle noises overshadow the dialogue of characters making it difficult to hear. It didn’t help that I could not find any option to adjust the volume level of each and ended up taking away from the whole experience. Even with a few issues Halo: The Master Chief Collection is a must have for the Christmas shopping list. From iconic moments such as making promises you can’t keep to giving the Covenant back their bomb, there is much enjoyment to be had in this revamped and repacked collection. 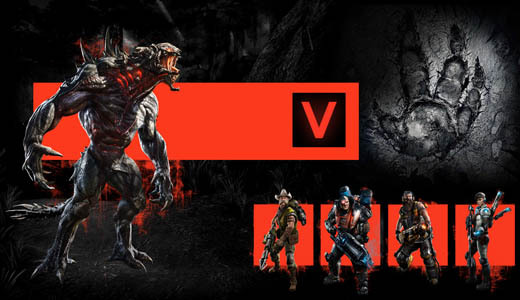 If you have never played it or a veteran to the series, this is a perfect opportunity to get you up to date and ready for the upcoming fifth instalment. Four epic games, two of which are remastered, all of which are local co-op, along with a lot more bonus material makes this a hard one to pass up on. When Grant and Judalene aren't scouting around trying to catch rare Pokemon and then debating over who is the better Pokemon Master, this gaming duo can be seen trying to mow eachother down in a first person bullet fest of marital bliss.